You may recall that I have partnered with Apartment Guide to serve as an Official Apartment Guide Decor Blogger! As an official blogger, I will be sharing articles and ideas for exploring your space, city and style. Today I wanted to share with you a few of my favorite decor blogs. Now, let me preface this post by saying that I could easily have shared TONS more because I gain so much inspiration from so many blogs, but I chose to share these five blogs because I felt like each of them offered some great take-aways for renters such as myself. That said, let's dive in to the good stuff, shall we? 6th Street Design School. 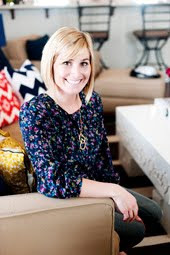 Kirsten is an extremely talented interior designer (and one of the sweetest bloggers I know!) One of the reasons I love her site is her weekly Etsy inspiration round-up. And if you want to know about fabric, Kirsten is your go-to girl. 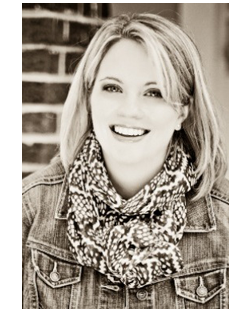 She shares great fabric sources, styles and deals on her blog. And since fabric is one of the easiest ways to add color and pattern to a space, Kirsten's blog is a great resource for renters. Emily A. Clark. Emily has such great style! I love her blog because she offers family-friendly design ideas that won't break the bank, but that don't compromise on style. She offers real-life decorating ideas with an eye toward design. Good reading! Holly Mathis. Holly's home is an inspiration for those that live in cozy spaces. She packs a lot of visual punch into what she describes as her "small" home. I love the room she just completed for her boys. 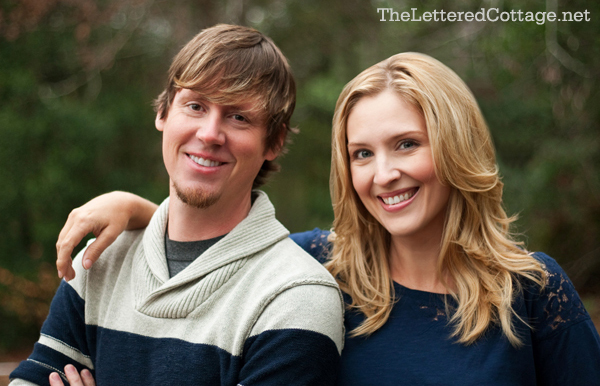 It has such great layers of color, texture and pattern with personal touches that her boys must love! Lettered Cottage. If you haven't heard of the Lettered Cottage, you must be new to decor blogs. Lol! But I am more than happy to introduce you. Layla is a fabulous interior designer with a flawless eye, her hubby Kevin is a talented musician/photographer/carpenter. They share amazing budget-friendly makeovers that never fail to inspire me, and their seasonal mantles are some of my favorite and are a great study in how to create amazing vignettes. If you haven't had a chance to visit any of these fabulous blogs, hop on over!! You'll be glad you did! Now for a fabulous giveaway. The friendly folks at Apartment Guide are offering one lucky reader of The Shabby Nest a $100 Amex Gift Card. For a chance to win simply leave a comment on this post. A winner will be chosen at random and announced on this blog later in the week. This giveaway will be open until Wednesday, May 30 at 11:59 pm MST. Good luck! · Whether you're living, looking or moving, Apartment Guide offers how-to tips for making the most of a space on http://www.movingtoday.com and http://www.apartmentguide.com/blog/. · “Like” Apartment Guide on Facebook at Facebook.com/apartmentguide, follow them on Twitter @AptGuideand “circle” them on Google+ for real-time tips and updates on making the most of your space and living on a budget. · If you’re ready for a whole new space or are looking to move, Apartment Guide has the photos, floor plans, features and tips to help you find the perfect apartment community. 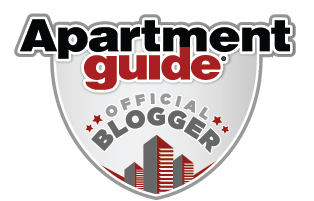 Apartment Guide and owner Consumer Source, Inc. have partnered with bloggers like me as Official Apartment Guide Bloggers. As part of this program, I have received compensation. They have not told me what to purchase or what to say about the products used, and believe that consumers and bloggers are free to form their own opinions and share them in their own words. Consumer Source’s policies align with WOMMA Ethics Code, FTC guidelines and social media engagement recommendations. Am I really the first? Maybe #1 will be lucky today! With your thousands of followers I'm surprised more haven't jumped on this giveaway! Seriously, I enjoy your blog as well as discovering new blogs through you. Thanks for the follow suggestions...I love decor blogs since I seem to be design-challenged...I need all the inspiration I can get. Thanks for the chance to win too...that would buy some sweet home decor items. Thanks for your blog post today; I am looking forward to jumping over to check out your recommendations. And THANKS for the give-away opportunity!!! I follow these blogs too! I totally agree with your blog choices and already follow ALL of them :0) Thanks for the great giveaway. Fingers Crossed! Great round-up of designers. I didn't know about all of them and am off to check out their blogs. Fantastic giveaway! We'll be in your neck of the woods in a few weeks. Would love to see you and your family! Great giveaway! And I will be definitely checking out some of those people you mentioned. Great giveaway! And great suggestions of decor blogs. I follow a few but I will check out the others! I love these bloggers too! Thanks for the giveaway! Thanks for the info! I follow 3 of the 5, but plan on checking out the other 2! Thanks for the giveaway. I could do a lot with $100. I'm not familiar with one or two of the bloggers you mentioned...if they are some of YOUR favorites, I have to check them out! GREAT giveaway, too! We are renters as well and I always feel defeated about that, I need to use your tips and make it our own space. Thanks for the giveaway! Wonderful blog! Always love to check in on what's new! Thanks for the opportunity! Fingers crossed! Thanks for the chance of the giveaway. I would be so excited to win, and I love The Lettered Cottage too! I follow most of those wonderful decorating blogs but always love seeing another great designer out there! Thanks for sharing some new ones to me! going there now! Whoo-hoooo! Would love to win....love your blog, thanks for your great ideas! Thanks for the giveaway and the blog recommendations. Thanks for this great giveaway - love your blog and all your ideas. Thanks for the list and thanks for the opportunity! I follow a couple of the blogs- will check out the others. Thanks for a great giveaway! Thanks! I will be spending some time with these! I am new to your blog...what a treasure trove! and a giveaway to boot! I now have a new place to come and be inspired. Pretty please, pretty please! Does begging count for or against you? I always enjoy reading your blog! Thanks for the chance to win such a great giveaway! Oh come on now! Seriously? It's not as if I fritter enough time away on design blogs. Now you gave me two more new ones I, amazingly, have never seen. Not. Fair. But oh, so wonderful!!! Thanks! Your blog is fascinating -- I am really enjoying it. Thanks so much for the chance to win! I already follow Apt Guide on both Twitter and Facebook. Thanks for the chance! you know, i have actually never been to holly's blog! i need to check it out! Thank you for all the inspiration you provide and for this generous giveaway! I have read all of those blogs..lots of inspiration there for sure! Yours is one of my faves, too! thank you for giving me this opportunity. I really enjoyed the information. Oh man, entering the giveaway then heading over to check out the other blogs! Thanks for the blog referrals! Your favorite decor blogs are some of mine, too. 6th Street Design School is a new one for me. Thanks for sharing! Thanks so much for the giveaway and for the interesting reviews! Those are some of my favorite design blogs too. I look forward to checking out the couple I'm not familiar with. Thanks so much for the recommendations and also for the giveaway! Can't wait to check out the new-to-me blog suggestions! Thanks so much! 6th Street and Holly Mathis are new to me but the others are old favorites! Some of these blogs are new to me and I can't wait to check them out! I'm feeling lucky today. I'm new to decor blogs. Wonderful picks here! These are some of my favorites as well. Thank you so much for the chance to win this amazing giveaway!! Thank you for the giveaway! Love your blog and am looking forward to visiting your recommendations. I am new to this blog. Love it. I **heart** your blog!!! I saw some things yesterday I could purchase if I win your giveaway!!! Your blog always provides me inspiration to fix up and decorate my home. Thanks for all you do! Great giveaway! and thank you for the new design blogs- I like the list! Some of these blogs are new to me. SO thanks for the recommendations! Great giveaway. I didn't know about 6th Street Design School - heading over to visit! Thanks for introducing the design blogs, will check them out. LOVE those blogs too! Thanks for the giveaway! i read most of those blogs, too. thanks for the giveaway-fingers crossed! I'd love the chance to win - thank you!! Oh boy could I use this to finish my hubby's nautical office makeover!! Love your blog! Oh, there is so much I could do with $100. And I can't wait to check out some new blogs! oh, great giveaway! Thank for the chance to win. I'm going to check out the blogs :) Thanks for the giveaway! Thanks for the list of great bloggers and for the awesome giveaway! Hope I win! I love all the blogs you recommend and I learn something from all of you each time I visit! thanks for the giveaway!! hoping to win the $100 gift card! Thanks! Love your blog and look forward to checking out the others! Thank you for the giveaway and for the other blogs. I'm excited to check them out. Thanks for the links! There's a couple here I don't know yet. Haven't heard of most of these--checking them out now! I love the Nester as well! I think both her blog and yours are full of inspiration! Happy to take that $100 AMEX off your hands! The Nesting Place is the only decorating blog I'm familiar with. Thanks for recommending the others. Thanks for the new blog suggestions! Definitely going to check those out! Thanks for the chance to win. We are getting ready to welcome our second and we are still renting. Thanks for a great blog post, and a fantastic giveaway. Your blog is the best!! Wendy, I'm just now seeing this such a great surprise to be grouped in with such amazing women!